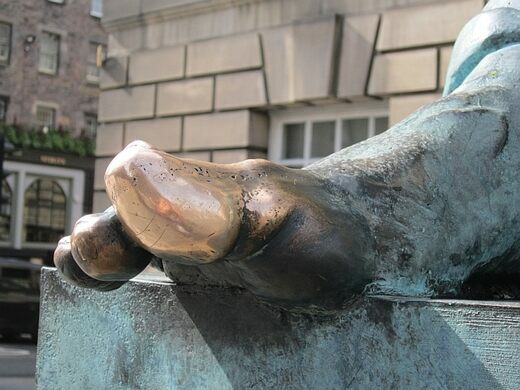 Local tradition dictates that a touch of David Hume’s toe will bring good luck, though the practice ironically defies the philosopher’s vehement rejection of superstition. Since 1997, when the public statue was erected at the top of Edinburgh’s Royal Mile, it’s become an international point of interest for handsy passersby. 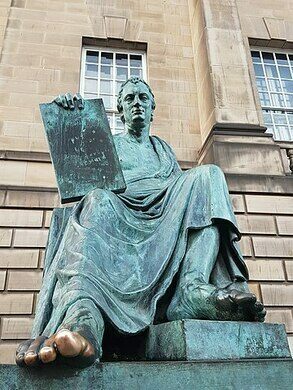 Shortly after artist Alexander Stoddart’s sculpture of the great Scottish Enlightenment thinker was installed in front of the High Court Building, philosophy students began making pilgrimages to his likeness and rubbing his toe for luck and wisdom. Over two decades later, hordes of tourists crowd around Hume’s foot at all times of day, rendering the sacred toe a shiny golden sphere from all the contact. 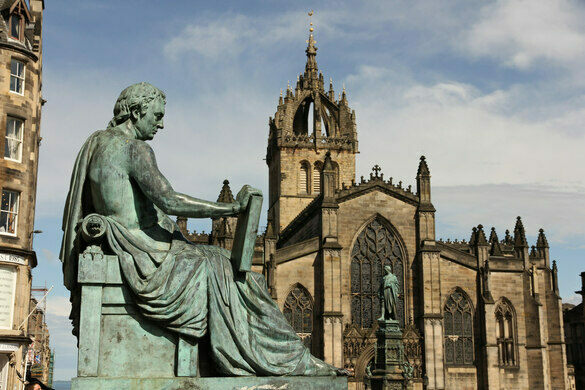 This popular Edinburgh landmark portrays Hume as an ancient Greek philosopher. While he was neither ancient nor Greek, Hume was also an influential historian, economist, and writer who lived in the Scottish capital from 1711 to 1776. One of the most influential figures to come out of the Scottish Enlightenment, Hume was invested in the natural sciences, the necessity of government, and empirical observation. In staunch opposition to superstition, which “rouses the vain fears of unhappy mortals,” he wrote in his six-volume History of England, Hume would likely frown upon his statue’s ritual significance. You can walk by the statue at any time, though be aware that crowds to tend to gather around his shiny toe. A sweet symbol marks the place where torturous executions were once carried out.